According to US department of Health and Human Services, lead is the biggest environmental health to our kids. Also, it is the second most common contaminant that is found in water. Lead contamination in drinking water usually starts when the water crosses the main in the street and reaches your tap. Therefore, treating water at the point of origin will not yield any benefits. Lead in drinking water usually comes from pipes, lead solder and fixtures that we use in the bathroom. Some folk remedies like greta, Daw Tway and azarcon can cause lead poisoning. Exposure to lead dust and soil that has high lead content can increase the chances of lead poisoning. People who have a history of gunshot wounds can also cause lead poisoning. The risk of lead poisoning can increase if the house that you live in has old plumbing. Using lead decanters, glazed pottery and cosmetics that can contain lead can increase the chances of lead cancer. Exposure to house paint through cracks and dust of homes that have been painted before 1978. Even small quantities of lead can have an adverse impact on the health of the child. Some of the problems that children could face include behavioral problems, reduced IQ, reduced attention span and learning disability. The effects of lead are usually irreversible and can last life-long. Children are not the only people who suffer from head intake. When adults drink water that contains lead, it can cause blood pressure and also have a negative impact on calcium metabolism and hemoglobin production. Lead is usually stored by our body in the bones or teeth. When the body is stressed or has inadequate levels in certain minerals, the lead stored in the bones and teeth is released. 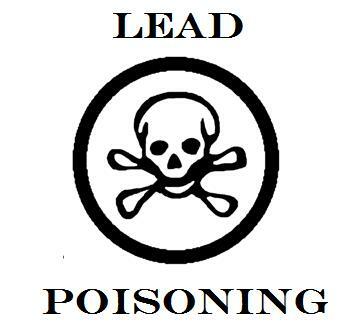 When lead is released from the bones and teeth, it affects the nervous and the electric system of the body. Lead poisoning can cause changes in critical messages that brain gives to other organs of the body which can adversely affect the body. Filter the water before you drink it. Avoid storing the water in lead containers. Using lead free paints to color your home. If your home is already colored using lead paint, remove the paint and use lead free paint to color your home. Dusting your home regularly can also help in preventing lead poisoning. Removing all items from your home like toys and furniture that are colored using lead paint.